One of more trivial achievements of the global financial crisis has been to virtually eliminate the term ‘summer lull’ from the financial markets lexicon. From 2007 onward, major and minor shocks have kept trading desks on their toes throughout the warmer months, with Blackberrys rarely out of reach for those that have managed to briefly exchange the office for the beach. From Northern Rock’s slide toward nationalisation during the summer of 2007 to last August’s record trading levels caused by sovereign debt anxieties, events have conspired to leave little time for reflection. Many seemingly intractable problems remain, of course, but the pace of bad news has slowed this summer, allowing many to take a complete break or, if so inclined, take stock of where global markets and economies are heading in the long term. Unable or unwilling to swap Thomas Gresham for John Grisham, my own holiday reading took in two authors who called for a more permanent slowing down of financial markets activity. In April, I picked up a free copy of the revised edition of Roger Bootle’s ‘The Trouble with Markets’ at an evening seminar which should have been titled ‘The trouble with the euro’, such was the renowned UK economist’s disdain for the pickle that Europe’s politicians had get themselves into. It is understandable that the organisers should want Bootle to focus on the topical, but the euro does not feature substantially in his analysis of the causes and possible solutions to the financial crisis and what he terms ‘the great recession’. As many of you already know, the essential premise of Bootle’s award-winning book is that politicians and regulators have been in awe of market forces for far too long, seeing them as the most effective means of meeting pretty much all society’s needs, from food and financial services to health and education. Bootle concedes that the crisis had complex, intertwining causes but he pinpoints a zealous belief in the power of markets as a key contributing factor. He also argues that the highest sustainable rates of GDP growth in large economies were achieved when capitalism was tempered by state intervention and oversight, not when market forces were left free to reign supreme. Several of Bootle’s solutions are radical, such as a global currency or temporary nationalisation of the UK banking sector, but at heart he forecasts a smaller financial services sector in which company board directors, institutional investors and banks are held to closer account, by regulation if necessary. His proposals found an echo in Professor John Kay’s ‘Review of UK Equity Markets and Long-Term Decision Making’, commissioned by the UK government’s department of business and published in July. Kay, a Financial Times columnist and London School of Economics economist, noted found much at fault with the way that the stock market served the needs of UK corporates and investors (by way of balance he finds fault with the investors and the corporates too). Kay concludes that a decline in trust and confidence between counterparts has led to an explosion in the number of counterparts in the investment chain, each of whom need paying for their services, taking a slice out of the diminishing returns on offer. He calls for the concept of stewardship to be reasserted among corporate directors, investors and others, while also taking aim at the misalignment of incentives among intermediaries that can increase the tendency toward short-termism. 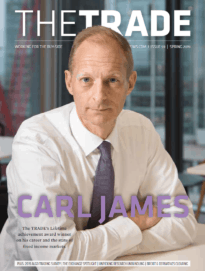 As reported earlier on theTRADEnews.com, Kay’s 17 recommendations include more transparent reporting of costs, application of fiduciary standards and new codes of conduct. 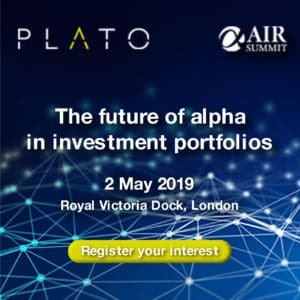 But he also calls on asset managers to be encouraged to adopt a longer-term view of their portfolios and the stocks contained within them through remuneration packages tied to the long-run performance of their funds. When Kay finds evidence of ‘hyperactivity’ in the equity markets, he is not only talking about high-frequency trading. He is also paying a backhanded complement to trading desk’s ability execute orders at ever lower costs, noting that portfolio managers prefer to exit a relationship with a company rather than use its voice to improve its performance. With many jurisdictions already imposing restrictions on high-frequency trading, could a further shift toward long-termism cause a further reduction in liquidity, and thus higher costs, in the equity markets? And would this necessarily be a bad thing? In the wider context, suggests Kay, perhaps not. Whether on the beach, the train or in the office, I would recommend finding the time to read his report yourself.